202 pages | 11 B/W Illus. Preface. Chapter 1. 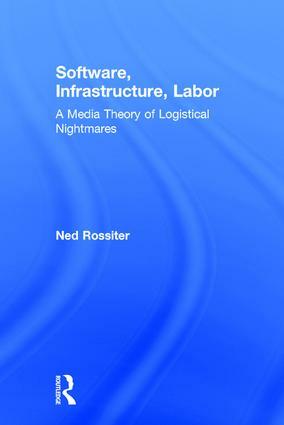 Introduction: Logistical Media Theory. Chapter 2. Logistical Worlds. Chapter 3. Into the Cloud. Chapter 4. Economies of Waste. Chapter 5. New Regimes of Knowledge Production. Chapter 6. Coded Vanilla. Chapter 7. Imperial Infrastructures. Chapter 8. Sovereign Media and the Ruins of a Logistical Future. Index. Ned Rossiter is Professor of Communication with a joint appointment in the Institute for Culture and Society and the School of Humanities and Communication Arts at Western Sydney University. He is the author of Organized Networks: Media Theory, Creative Labour, New Institutions (2006).